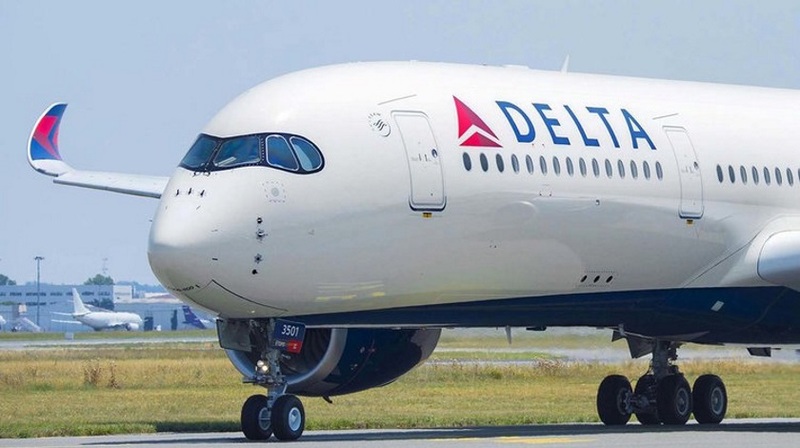 Delta will utilize newly refreshed 777-200ER aircraft with all new cabins. As part of Delta’s more than $100 million 777 refurbishment program, these aircraft will be equipped with 28 of our award-winning Delta One suites with a full height door, 18-inch high-resolution entertainment screens, memory foam seats, espresso coffee service and state-of-the-art design with customizable in-suite lighting. The new Delta Premium Select cabin seats 48 with elevated personal service, plated meals, 13.3-inch seat back screens and more space to stretch out with recliner seat rows 38 inches apart. The 220 all-new Main Cabin seats are the widest in the Delta international fleet in a 9-abreast configuration furnished with personal screens, unlimited premium entertainment and complimentary earbuds. The new cabins all enjoy in-seat USB and 110V power ports, inflight WiFi and new dynamic LED lighting that varies by phase of flight fostering a relaxing, refreshing environment onboard. With 27 peak-day flights between the U.S. and Asia, the joint venture between Delta and Korean Air offers customers world-class travel benefits across one of the most comprehensive route networks in the trans-Pacific market. The partners recently expanded codeshare flying and earlier this year received government approval for a trans-Pacific joint venture that will enhance connectivity between the U.S. and Asia giving customers more choice for seamless travel. Both airlines have also improved their loyalty programs’ reciprocal benefits, including the ability to earn more miles on both loyalty programs and redeem them on the expanded network.